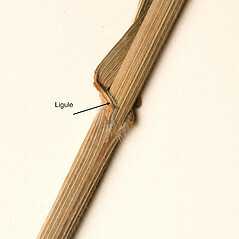 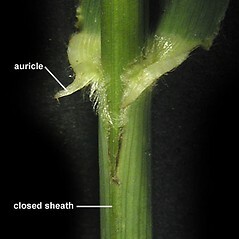 Bromus latiglumis (Shear) A.S. Hitchc. 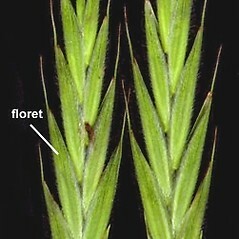 Flanged brome has a wide distribution across northern and central North America. 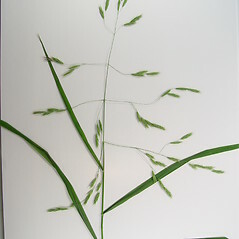 In New England it is a grass of river banks, cobbled river shores and riparian forests. 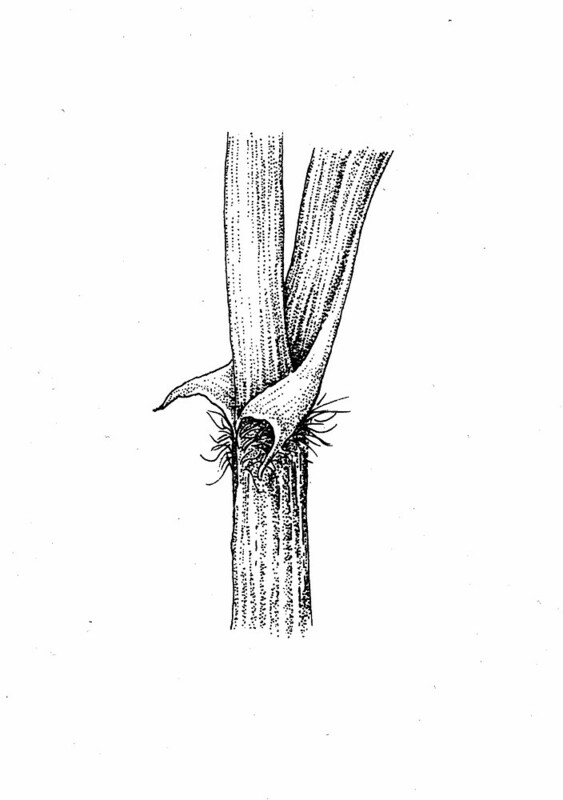 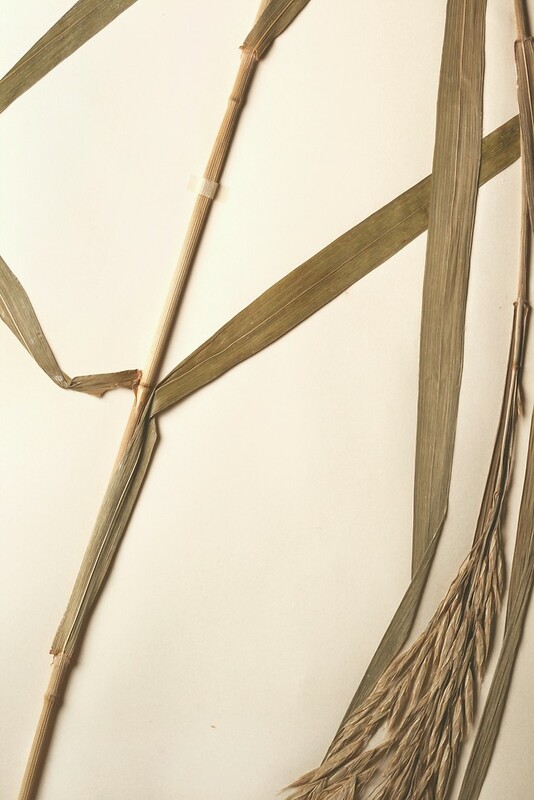 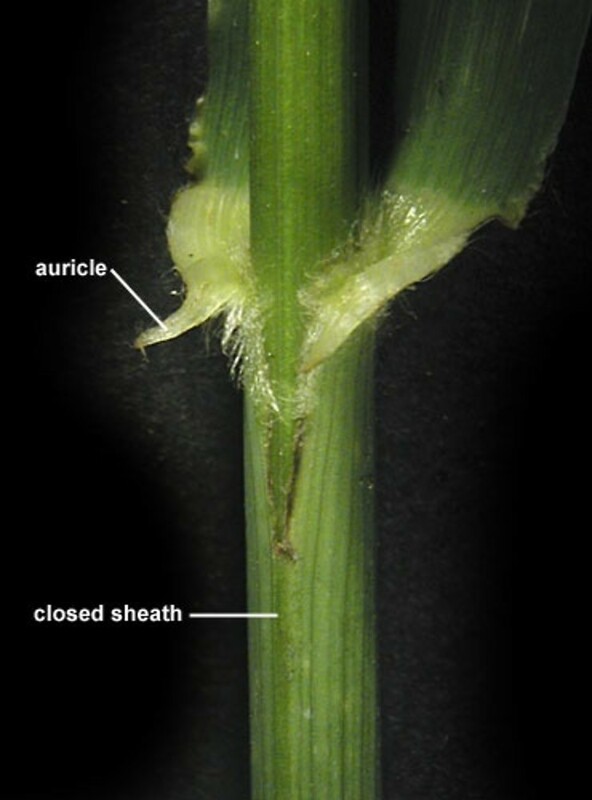 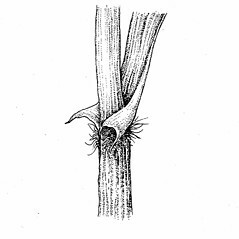 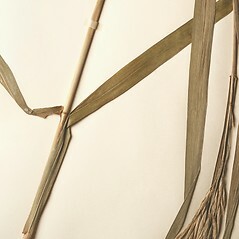 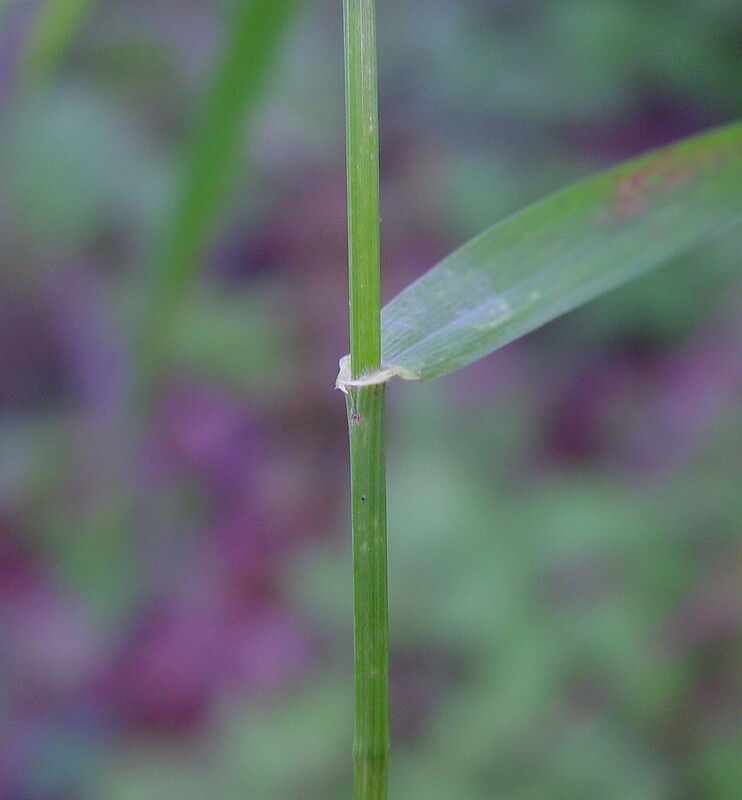 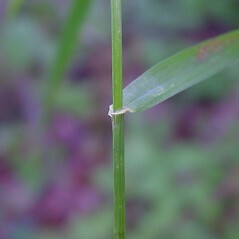 leaf sheaths not overlapping, at the least the upper nodes exposed, glabrous to pubescent near the apex of the sheath, but not outwardly flanged or auriculate, and anthers mostly 2.5-4 mm long (vs. B. latiglumis, with leaf sheaths overlapping and concealing the nodes, densely pubescent near the apex of the sheath and outwardly flanged and auriculate, and anthers 2-3 mm long). 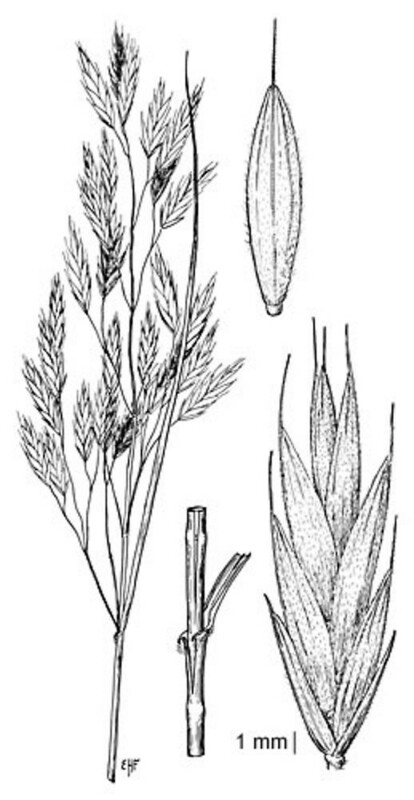 Bromus purgans, auct. 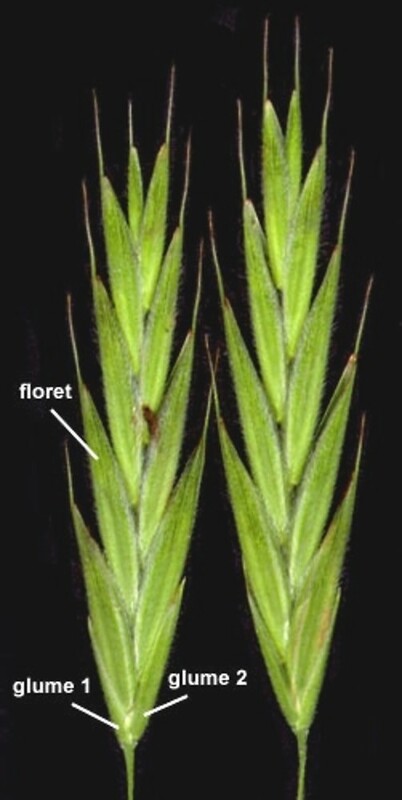 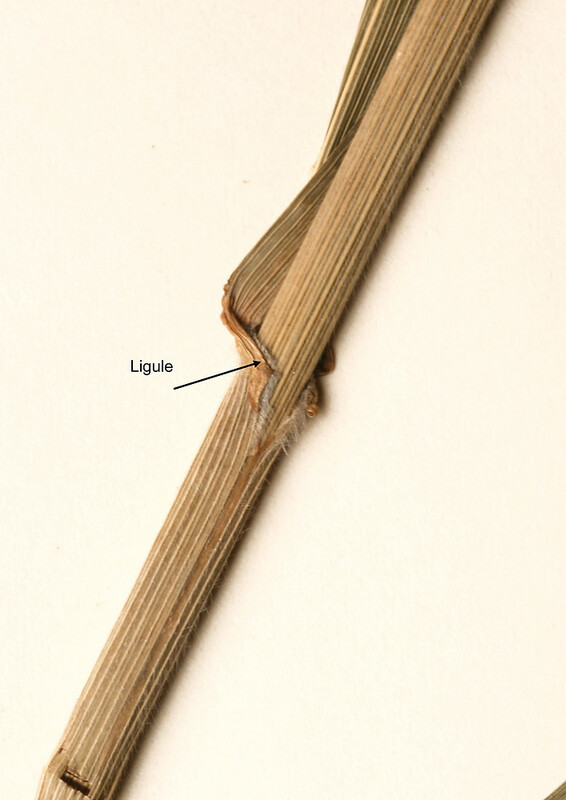 non L.
flanged brome. 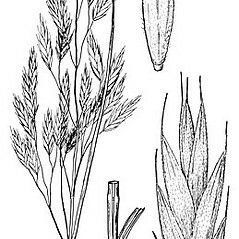 Bromus altissimus Pursh; B. purgans, auct. 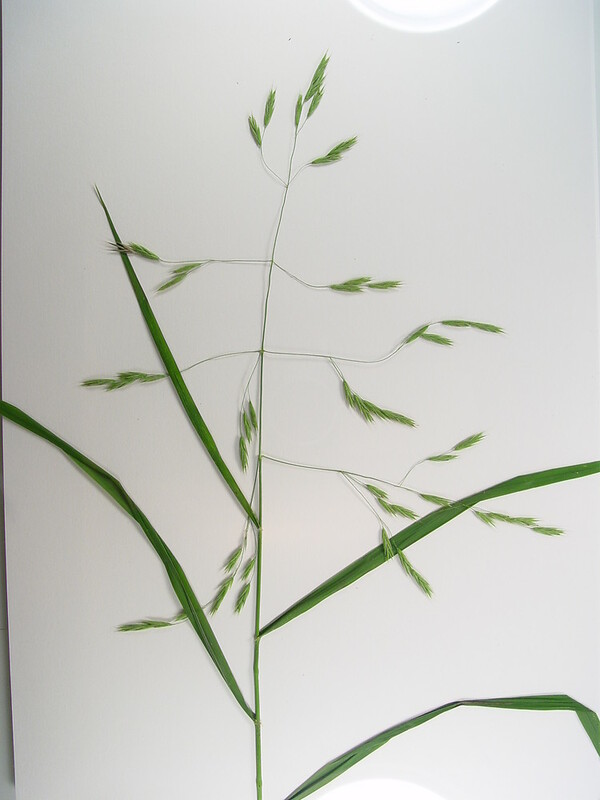 non L. • CT, MA, ME, NH, VT. River banks, upper edge of gravel and cobble river shores, riparian forests.